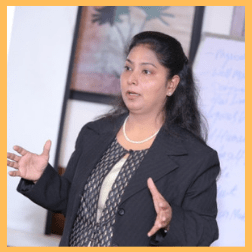 She is a trusted name in the industry and sought after Certified Trainer & Facilitator, Parenting Coach & Expert, and Career Counselor to conduct life skills programs, soft skills training, parenting sessions, and career guidance sessions for educational institutions and corporate companies. She understands the value, challenges and the very core of life and parenting. She carries rich industry experience of 15+ years across sectors like automobile, IT and education. She has also placed her words of psychology into the publishment sessions of magazines such as Business Innings, Parenting World, Gtown Society, Asian Age and Navbharat Times newspaper. She has been recognized for her pioneering work in the Life Skills arena with the designation of Global Presence Ambassador for Gurgaon, India. The Global Presence is Registered in the US as a charitable, 501 (c)3, educational organization.